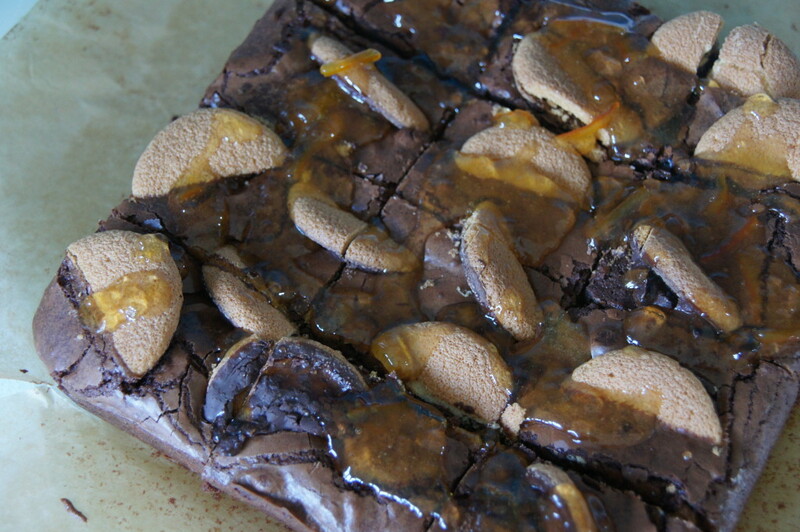 I love the combination of chocolate and orange so when I saw the recipe for these Jaffa Cake brownies on the Good Housekeeping website I knew I wanted to try them. The only thing stopping me was that I had seen in the recipe that they needed marmalade which isn’t something we usually have in the Little Birdie household. However, when Mr Birdie bought some for the little Birdies to try I decided it was definitely time to try them. There was a bake sale at one of our toddler groups this week for the charity Tommy’s (a fantastic charity which funds research into stillbirth, premature birth and miscarriage) so I decided they’d probably go down well with tired, sleep-deprived mums and that it was time to give them a go.